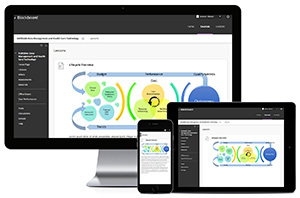 Blackboard today announced a variety of updates to Blackboard Learn, the company's flagship learning management system. The release includes updates for both the Original experience (Blackboard Learn 9.1) and the Ultra experience. The Original experience is available via self-hosted, managed-hosted and software-as-a-service (SaaS) deployment options. New capabilities in the areas of assessment, content creation and discussions (incorporated based on feedback from recent pilots). For more information, go to the Blackboard blog.